I asked 14 prolific experts to share their tips about LinkedIn Pulse publishing. And I asked them a simple question. 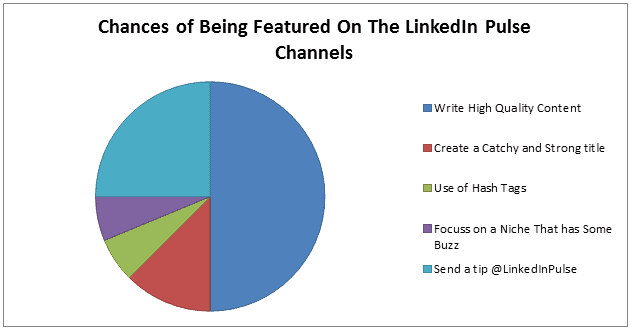 How do you maximize your chances of being featured on the LinkedIn Pulse channels? I simply wanted to know how I can maximize my chances of being featured on the LinkedIn Pulse channels. As a professional blogger, I’ve been overwhelmed by dozens of tips that have got me nowhere closer of being featured on LinkedIn channels. That’s why I decided the only way to know the actionable tips was to ask the prolific experts and see if the tips would indeed make my chances higher of being featured. Their responses were EPIC and actionable! If you want to generate more traffic and sales from the LinkedIn Pulse Channels, then you’ll love this interview. to share their actionable tips on how you can get featured, generate more traffic and build a strong brand for your business. It’s not easy to get featured. Thousands of articles get published every day but only few get to be featured in one of the channels. You need to focus on what you can control and that’s the quality of the content you publish. That’s what I focused on when I got my article featured on LinkedIn. See the story and my advice here Linkedin Publishing. Publish content that answers questions real people have. Content that helps them, educates them, informs them and gives them value that they cannot find in other articles. Include an eye catching image, format the article so it’s easy to scan and tag it with keywords you think are most relevant. After publishing you need to do your marketing routine in order to promote it. Share it in your own social media channels; send it to your mailing list and so on. Here I have a list of 40+ places where I share my article after publishing: Post Publish Routine. Do also tweet the link to your post with “tip @LinkedInEditors” and include a short description of what your article is about. If you want to maximize your chances of being featured on one of LinkedIn’s Pulse channels, your first step is to make sure your post offers an original perspective and is well-written (i.e. no grammatical errors). You also need to ensure you’re using the relevant tags (the new version of LinkedIn publisher, rolling out gradually, uses hashtags which you add in before you publish) and then, once you’ve published it, send a tweet to @LinkedInEditors to alert LinkedIn’s editorial team to your work. It’s certainly hard to get picked up – there’s something like 18k new Publisher posts going up every day – so hard to say exactly how you can get the attention of the right people. The most important thing to do is write an article that caters to LinkedIn’s audience and has a well-written title. Key Lesson learned: Write high-quality article that provides value to LinkedIn’s audience. Use relevant hashtags. Each year, LinkedIn releases their editorial calendar that features monthly themes with accompanying hashtags. Posting on those topics and using the hashtags skyrockets your chances of getting featured. Focus on one or two channels, and study them thoroughly. LinkedIn editors aren’t looking for copycat pieces––they want unique, even controversial insights. Aim to say something different and add your own perspective to the conversation. Key Lesson learned: Use relevant hashtags that can help you stand a high chance of being featured. With having 130k (The 2016 LinkedIn Stats You Should Know – Updated!) posts per week that are published, competition can be pretty tough. One would want to focus on a niche that has some buzz around it. Next in line is I would do some light keyword research focusing on 2-3 phrases throughout the post that you want to show up for. Once you publish you will want to post on your own website, share with your social media and email, if applicable. The more links, shares, likes and comments one gets will help one to achieve this goal. Posting on a consistent basis will help as well which will be set by the blogger. Key Lesson learned: Focus on a niche that has some buzz around it. Basically, there is no secret, you just have to write unique content, write it from your perspective, and write it to the best of your ability. LinkedIn Pulse will also not, generally speaking, feature promotional content, so you have to write on a subject that you care about, not talk about your latest company achievement or sell your product/service. Key Lesson learned: Write quality content from your perspective. Publishing to LinkedIn Pulse can get in lots of engagement with the right posts, not to mention help you increase your visibility and make new, great connections. I’ve found that the best way to get featured is to write long form posts that provide lots of value. Just like with blog posts, headlines can have a huge impact on your success on LinkedIn Pulse. Focus on ‘how to’ and list posts and write longer pieces of content, as they tend to attract a lot more views, in my experience. It’s also very important to publish at the right times, when people will be online and see your posts; keep in mind that your target audience is comprised of professionals, so consider that when thinking of the best times to publish. Another good idea is to write about controversial subjects in your niche and bringing your point of view to the table – coupled with a catchy headline, these types of posts can bring in lots of views and engagement! Key Lesson learned: Write long form posts that provide lots of value. In order to maximize your chances of being featured on LinkedIn Pulse you have to write a good article and you have to get activity on that article. Write really good (and longer) articles. Posts that run between 900 and 1400 words get more visibility than 800 or less articles. That might be because LinkedIn members have a greater attention span, or that longer articles have more keywords and are more findable. Promote sharing with calls to action and even sharing links. I put a big blue “Share on LinkedIn” button in the middle of most of my articles and well as a call to share my article at the bottom of my Posts. Its not one and done. Share, share and share again. Put your post in your scheduling tool of choice (I use AgoraPulse and Oktopost). Ask your Influential friends to share. If you have connections on LinkedIn who have a big, active network. And they like your stuff. Then ask them to share for you. Just don’t abuse the relationship. Your article’s increased visibility will drive more business your way. And that’s really what we are after, right? Oh, and an article that gets a lot of comments, likes and shares might also get the attention of a LinkedIn editor and get on Pulse as well. Get your Pulse posts noticed by sharing them quickly after publishing. LinkedIn is more likely to promote posts that perform well, quickly. Email your list with an intro to the topic and the link. Include a strong call to action (ask people to like, comment and share) to magnify the impact. Key Lesson learned: Get your Pulse posts noticed by sharing them quickly after publishing. Recommended Reading: What Does it Take to Become a LinkedIn Influencer? Getting featured by any publication (such as LinkedIn Pulse) is simply a byproduct of creating ultra-valuable content to your target market and putting in the work to get noticed. Your ultimate goal should be helping the market in which you seek to engage. When you understand them (your targets) better than they understand themselves, your chance of creating meaningful content increases. Put in the work, help 10X more than receive, and get noticed by interacting with those you seek to engage. Key Lesson learned: Create a high value content that helps your target market. Linkedin is purely about careers and business, so if you have a topic that brings insight to people’s work lives, you got yourself a potentially viral post. Of course, your content matters a lot. Cut the fluff. Get to the point. Talk about things most people normally don’t read. Titles play a big role. 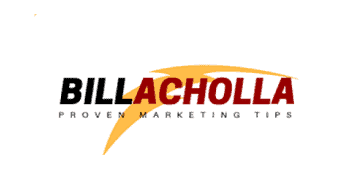 You need to create a catchy and strong title that grabs people attention immediately. I suggest you to write the content and then take some time to think about the title. About 80% of internet readers are only reading headlines and this is essentially what they are sharing. Another tip is to write many H2 titles and bullet points. Also, make your post personal: always add a personal story and tell something actually happened to you. Last tip: as soon as you publish your post on Pulse ask your closest friends or colleagues to like it and share it. This will help the “virality” of your content. Key Lesson learned: Writing a catchy title plays a huge role in LinkedIn pulse publishing. Recommended Reading: What Makes a Blog Post Successful on LinkedIn? Getting featured on Pulse requires quite a bit of interaction on your post, including comments and shares. One trick most people don’t know, is that LinkedIn publishes an editorial calendar with monthly topics. Check out this link to the LinkedIn 2016 Editorial Calendar here. At the start of the month, search the specified hashtag to get an idea of the different ways people are using the topic, which ones have gotten lots of views, and the way these popular posts are using the hashtag itself throughout the post. Learn from what they’re doing right and then build off of it in your own post. Key Lesson learned: Write a useful content that illicit interaction with LinkedIn audience. Next, work your network: contact your most active LinkedIn connections and ask them to share and comment on your post. Finally, send a summary tweet to @LinkedInEditors, linking to your post. Key Lesson learned: Write an action oriented post that triggers conversation. Recommended Reading: Blogging on LinkedIn – Can It Convert? We’ve come to the end of the interview! I hope you’ve enjoyed and learned a lot. If you want to get your article on linked in Pulse Channels, then dont forget to use the above expert tips. BIG thanks to everyone who contributed to this awesome interview! Please share if you think it was SUPER useful! Make sure you put these powerful strategies into practice and make LinkedIn Pulse your main source of traffic. If you’ve any feedback or suggestion, feel free to share your thoughts in the comment box below. Nice post. You shared a very informative content as per LinkedIn. Thanks Richa, I appreciate your feedback. Excellent article. Thanks for educating me. You welcome and am glad you’re enjoying the post. Excellent article. It seems that the Linkedin Pulse webpage news feed and twitter account no longer exist. Does Pulse no longer exist? Thanks Karl. They’ve shifted to “@LinkedInEditors”. But for the LinkedIn Pulse is still exist.